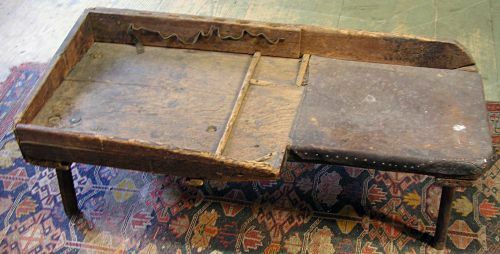 Cobblers bench with original leather seat in attic surface. Nice and solid with legs mortised through top. 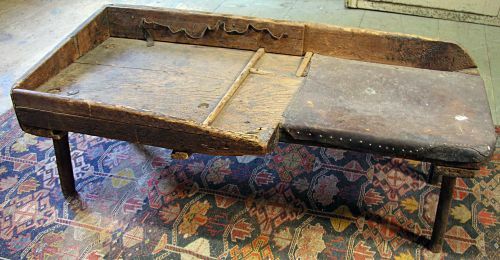 Originally had a drawer in the front thats long gone. Great height for coffee table. Dimensions: Measures 45" long X 20" deep X 16 1/2" tall at the back and 14 1/2" at the front.